If you are searching for some extra income through part-time jobs that you can do from home then taking the online survey is a great option. By spending a few hours from your day you would be able to overcome some financial burden on your family. In this article we would talk about e-rewards, an effective and money generating online survey company. 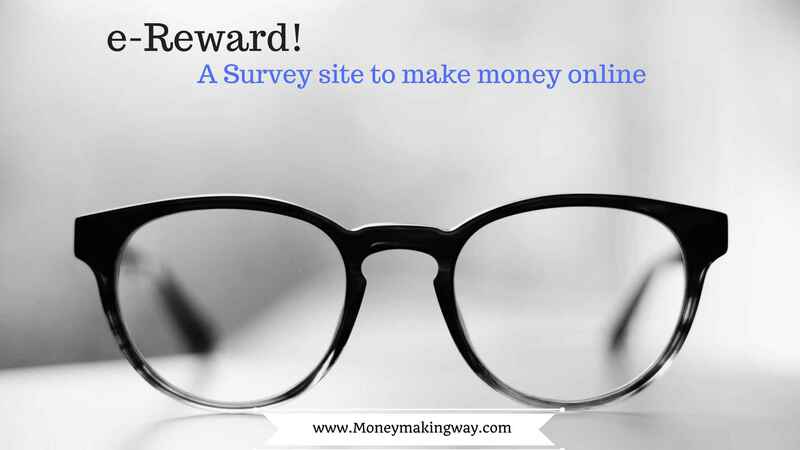 If you want to explore more on survey you can try some of the best surveys which are not only popular but legit as well such as Swagbucks, Opinion outpost, Globaltestmarket, Mypoints, and Mysurvey. The e-rewards survey portal is currently active in countries like United Kingdom, United States, Canada, Brazil, Mexico, Netherlands, France, Germany, Australia, and Spain. The company plays a link between buyers and suppliers. E-rewards is basically an online market research platform who helps some of the very famous brands in their market research. The members of e-rewards are asked to fill up surveys which can reveal their perspective about that brand and in return, they get paid for it. Generally, the brands pay a lot of money for doing their market research in order to determine the habits of their potential buyers. The market research needs a lot of data like the income of the consumer, expenses etc. E-rewards help them in getting all those data through the survey that its members have conducted. You would not be able to join the company directly. You would need to get an invitation to join from any of its partner company who are a part of their panel. Once you get the invitation, joining e-rewards does not incur any cost. A minimum age of 13 years is required and the person must be a resident of any of the 10 countries where e-rewards operates. However, the age might vary from one country to another, so it is advisable to check once before applying. As soon as you attempt a survey, you would be rewarded with opinion points which you would be able to redeem for gift prizes, retail vouchers, gift cards, magazine subscription, Airline miles, restaurant gift card, and merchandise. The opinion points get credited to the account as soon as you attempt for the survey but in some cases, it might take 7 to 10 days to get reflected on your account. You would be able to see all the points you have collected in the ”my account” option, specifically the account statement sub tab. You would also be able to set up your preferences with respect to the frequency of the survey that you take. All you need to do is go to your accounts tab and then scroll to the top of the page where you would get the option called preference. Click on that and follow the instructions. The higher is your participation rate, the higher would be the frequency of receiving surveys. The process of redeeming the points is very easy, all you need to do is log in to your account and then click on the tab called rewards, you would be able to see an option called reward center. Click on that and select the point which you want to redeem. The lowest point required to redeem a gift card is $10 and you would get as many as 54 retailers to choose from in order to redeem the card. If you apply for an electronic gift card then it might take about one hour to reach your however if you want it through the post then you might have to wait for 4 to 6 weeks. There is no option for joining the company directly. You would need an invite from any of the partner companies. The frequency of surveys would directly depend on your activities on their website. Like any other survey site, you might get disqualified from certain surveys. It takes a lot of time for gift cards to reach physically. There have been a lot of complaints about late delivery of the magazines subscribed. If you want to make some extra money, then this is a good website but in case you are looking for a full-time income source then this is not for you as it has a lot of challenges like lesser frequencies of the survey, the chance of getting disqualified which would lead to lesser income.